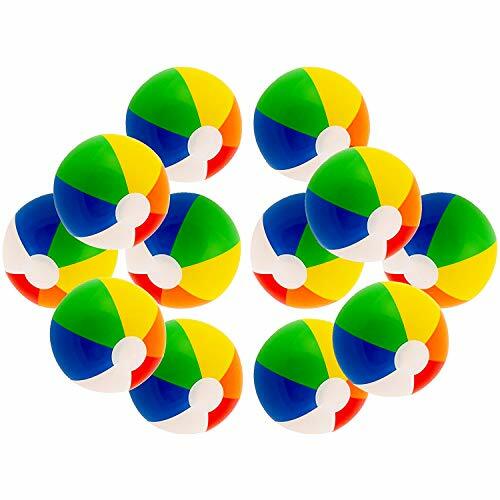 Multi packs mini beach balls from, Traditional rainbow color beach balls, 5 inch beach balls when inflated, 6 inch when deflated, Made out of the highest quality plastic guaranteed and children tested, and very easy to blow up and close without losing any air, great for small hands, great summer toy for pool play, pool parties. 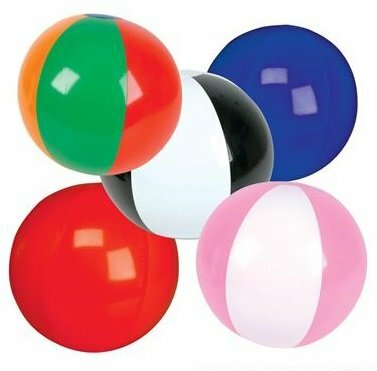 Make any summer party more fun with this great assortment of inflatable 5" Beach balls. 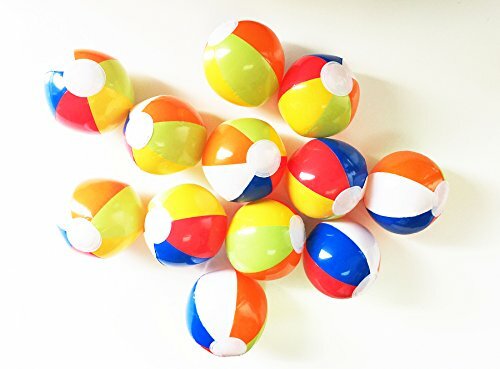 These are mini beach balls measuring 5" When inflated. Make great party favors!! Assortment may vary from picture shown. Liven up your poolside party with these classic colorful beach balls. Bring it to the beach for a fun day in the sun. Also great for back yard family activities and birthday parties. GiftExpress is a TRADEMARKED brand. 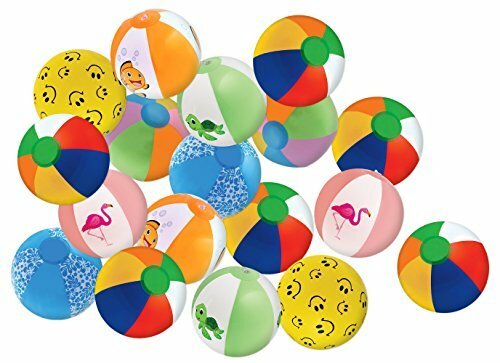 You Will Receive The Following Inflatable Beach Ball Designs In Every Kangaroo Breach Ball Package: 6 Rainbow Beach Balls, 6 Pastel Rainbow Beach Balls, 3 Of Each Clown Fish Beach Ball, 3 Hawaiian Beach Balls, 3 Of Each Flamingo Beach Ball, 3 Of Each Sea Turtle Beach Ball & 3 Of Each Happy Face Beach Ball. 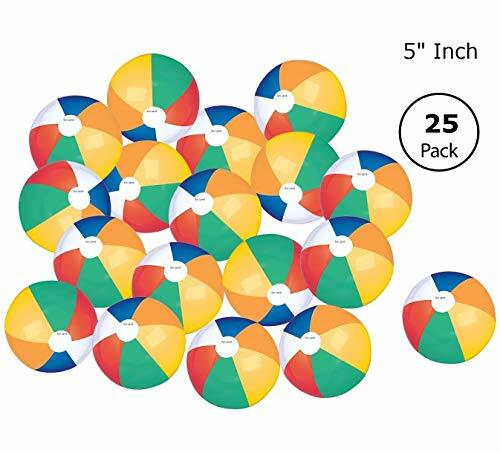 25 Inflatable Beach Balls Per Order; Perfect For Swimming Pool Toys, Sand & Water Toys, The Beach & The Lake. Kangaroo Inflates All Beach Balls Overseas and Deflates Them To Remove Any Beach Balls with Tiny Unseen Punctures. You Know Your Buying The Best Summer Toys & Beach From Kangaroo. Great Summer Toy! Best Sand & Water Toy! 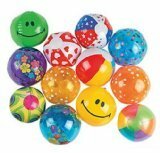 Your Kids Will Love These Beach Balls! 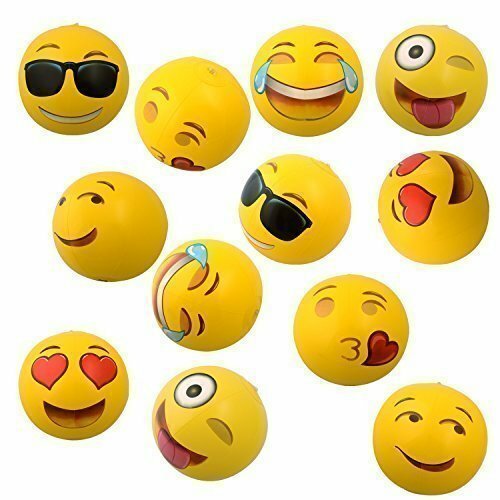 Whether You're Enjoying A Day At The Beach Or By Your Swimming Pool At Home These Beach Balls Will Make It A Hit!! Great For Schools, Summer Camps, Lake & Ocean Play, Pool Parties, Beach Parties, Adult Fun & Festivals And Much Much More!! 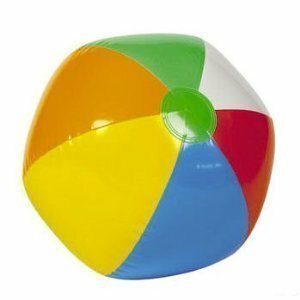 Beach Balls Sold And Measured 12" Deflated - 12 Per Package!